A black belt in karate and former basketball player, she bagged the Woman in Football Award at the third Asian Football Awards in London. 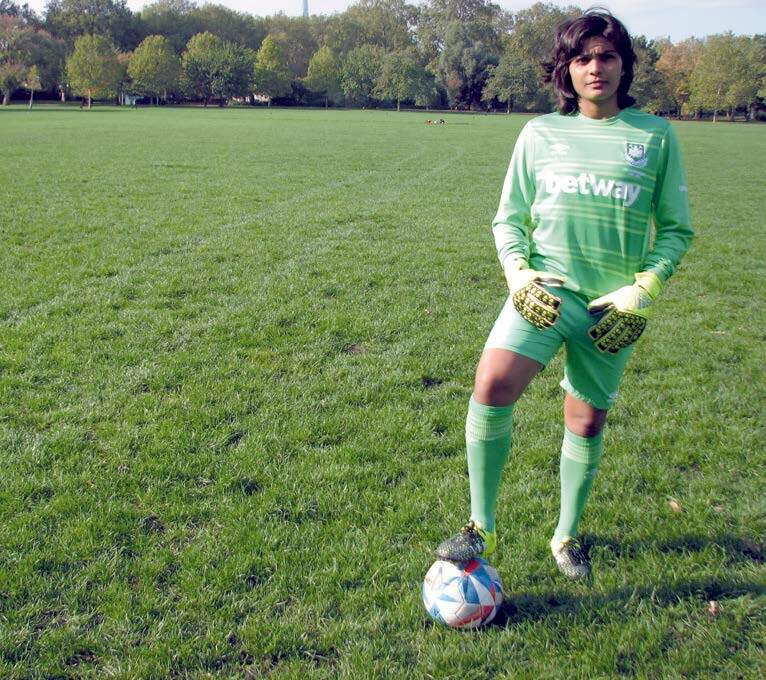 Goalkeeper for both the national women’s football team and the English club, Aditi Chauhan believes that be it anything in life it is important to be sincere and follow your dreams. I had an active childhood and was into sports from a young age. My physical attributes and grip of the ball helped make the transition to goalkeeper quite easy. Eventually I enjoyed football enough to leave all other sports and focus solely on this game. I wouldn’t say I have a role model, but I do get influenced by sporting greats in every game. I don’t believe it is diﬃcult to strike a balance between sports and studies. In fact, being a sportsperson has helped me because we are so focused in what we do. I love golgappas. I also like traditional Indian food like butter chicken and naan. So yes, it’s good to indulge once in a while. I love travelling. I loved Bruges and Amsterdam. Now that I am in England, I want to see a lot more of Europe this year too. My aim is to evolve as a person and a footballer. In the near future, though, hopefully we will be able to retain the SAFF Women’s Cup.